One significant benefit of using a portable X-ray is its ability to avoid transports and extra movements of patients. 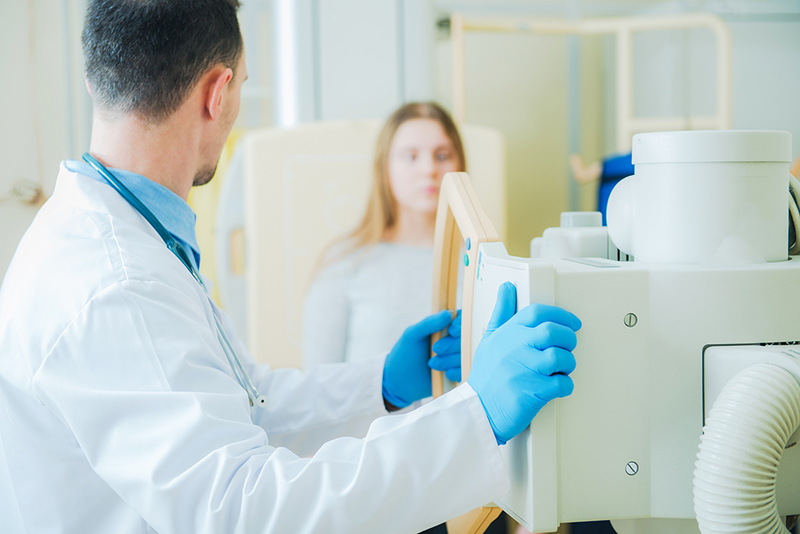 In some cases, hospital trips or visits to the radiology department for chest, skeletal and abdominal X-ray examinations may cause more harm than good to the patients, especially those with severe health conditions. These devices help eliminate unnecessary transports and changes in the patient’s body position during X-ray examinations. Most portable X-ray devices come with a stand on wheels, while others are motorized, allowing technologists to move the equipment around quickly, and may not even need an electrical plug-in for them to be fully functional. Many of the units also fold up into smaller shapes, and other systems weigh in at under one hundred pounds, making it much easier to transport them in vehicles. Many of the portable X-ray systems also allow technologists to take images from patients while they’re standing, sitting or lying down. This adds more flexibility and better care for patients. Radiograph examinations using mobile imaging equipments offer less processing speed and eliminate long wait-times. Portable X-ray machines can take less than 20 minutes. Moreover, the results are accessed in real-time and can be sent directly to the patient’s physician, which is usually done within an hour, allowing immediate diagnosis and start of the patient’s treatment. Radiation exposure is one of the primary health concerns for both the patient and personnel in using traditional medical imaging equipments; however, studies show that there’s a significant reduction of radiation exposure in using portable radiology devices. The shield mounted on the front part of the portable X-ray device protects them from scattered radiation. Patient transports are costly. Portable X-ray devices show potential socio-economic advantages by reducing the use of ambulance and taxi transportation, as well as personnel pull-out to accompany the patients to and from the hospital. Mobile X-rays help reduce overall cost. Portable digital x-ray machines are equipped with high-tech features. This allows technologists to get high-quality images in a short time. The laser scanner of the imaging device does not make use of a film, and it consists of phosphor plates and cassettes that can be effectively deleted after usage. Technologists can also enhance the digital medical images that were taken out in the field, with the workstation connected to the portable unit. The efficiency in digital imaging technology has helped eliminate X-ray exam retakes and provide fast and accurate information. Patients and technologists don’t have to wait for the film to be developed (by an automatic processor, using chemicals and a darkroom similar to what is used to develop regular film photographs), and worry about bad image quality. With portable X-ray machines, radiologists and patients can have accurate and fast results, without risking patients to come to medical departments to take the exam. X-ray manufacturers understand that they have a platform and a responsibility to develop more advancements in the digital and portable medical imaging technology. Because of that, the medical equipments we have today offer outstanding performances and convenience to both patients and medical professionals. Notably, mobile X-ray machines are considered excellent medical devices that allow physicians, veterinarians and other medical professionals in the military, sports teams, those who work with immobile patients, to save time and money, while providing patients with quality service. These benefits contribute to an increased quality of patient care and the possibility of saving more lives. Portable X-ray devices are safe to use, provided that they are purchased from a reputable X-ray machine seller and not the cheap knock-off versions. Source-Ray is a premier developer, manufacturer, and supplier of innovative diagnostic mobile and portable imaging equipment for healthcare professionals. 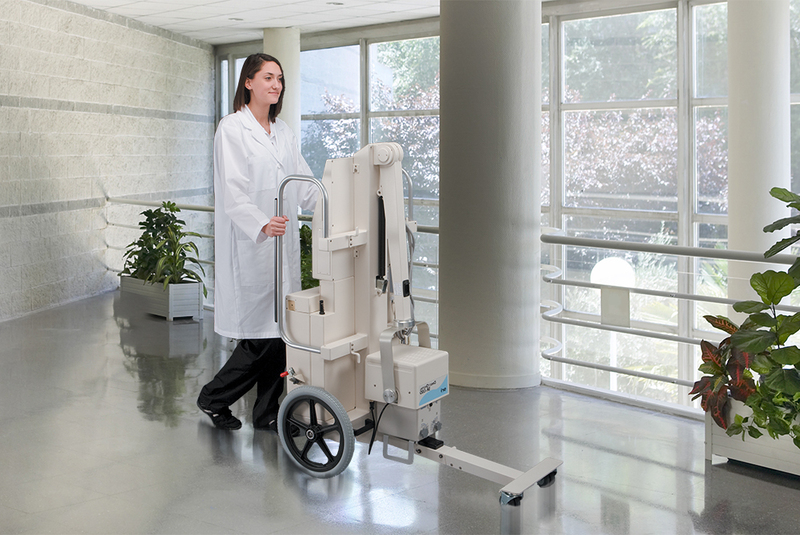 The Source-Ray product line includes state of the art, lightweight portable and mobile X-ray machines that are designed to be moved about easily and safely. Their compact design enables these portables to be used for a wide range of procedures and facilities.